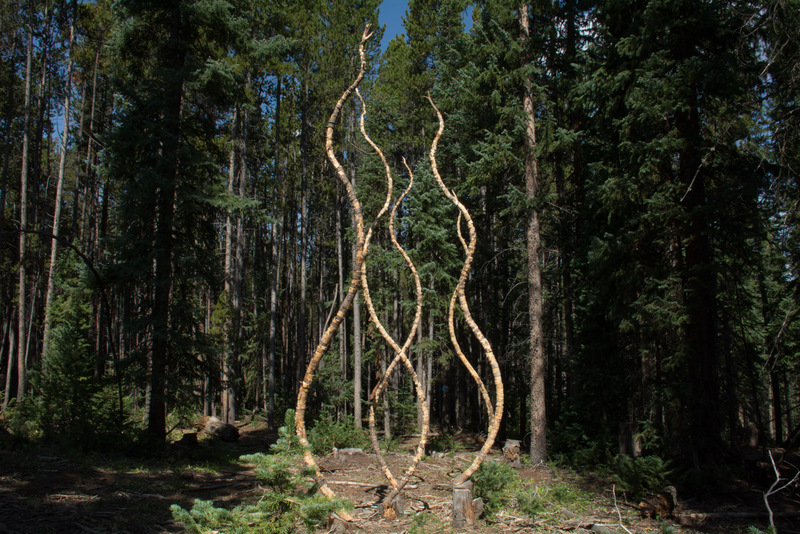 Part of the Breckenridge International Festival of Art 2015 - sculpture on the trail. Hume's Guillotine, made by artists Steuart Bremner & Terry Talty. BIFA brings together innovative art and performance. a 10-day concentration of performances, art exhibitions, music and art performances called Trail Mix, presentations and modern circus. Look for BreckCreate's guide to their event in town, or download 2016 BIFA program. "A Romantic Triangle" Charles Wetherbee, David Korevaar, Clancy Newman. Join us as we wade into the music surrounding the tangled love lives of Brahms, Clara Schumann and Robert Schumann. "From Vienna to Leningrad" Charles Wetherbee, David Korevaar, Clancy Newman. This evening will feature the sublime and delightful beauty of Schubert’s B Flat Major Trio and the passionate intensity of a Shostakovich Piano Trio. Dillon Community Church-- Friday, August 12 7:00 pm --"Gypsy Airs" Charles Wetherbee, Cameron Bennett, Korine Fujiwara, & Greg Sauer. Enjoy a romping gypsy time with works by Brahms —G Minor Piano Quartet, as well as Mozart’s E Flat Major Piano Quartet, and Sarasate’s unforgettable Zigeunerweisen. "Bridge to the Past" Charles Wetherbee, Cameron Bennett, Korine Fujiwara, & Greg Sauer. A phantasmagorical offering of Beethoven’s Piano Trio Opus 1, No. 3, Schumann’s Piano Quartet, and Bridge’s “Phantasy” Piano Quartet. "Creme of the Crop" Carpe Diem String Quartet, John Gunther. Carpe Diem blends their incredible mix of light classics, jazz and fun! Special guest John Gunther returns for more amazing collaborative enjoyment. "Anthem for the Ancestors" Leon Littlebird and Carpe Diem String Quartet begin a collaborative adventure with this new piece written by Charles Wetherbee and Leon Joseph Littlebird. Don’t miss this thrilling premier! The 66th annual Boom Days festival takes place Aug. 5-7, 2016, in Leadville, Colorado, bringing to life the Old West and celebrating the town’s 1880s gold and silver rush heritage. The world's best guitarists come together for the 12th annual festival, with three days of free performances, guitar & songwriting workshops and kids music activities. Great music and great price (free). See more at Guitar Town. For the updated daily calendar presented by the Breckenridge Resort Chamber, see Events Calendar.